Yesterday was a first for us. It was the first day of school. At a new school. And it was Skylar's first day of kindergarten. We had prepared her the best way we knew how. She can write her name, read short books, and knows how to count to 100. More importantly, she knows when to say 'please' and 'thank you', how to raise her hand, how to follow directions, and how to be a friend. We picked out an outfit, packed her backpack with 30 pounds of supplies, and made a snack. The night before school started, she was getting misty-eyed. When I asked what was wrong, she said, "I'm excited to start school, but I'm sad to grow up." 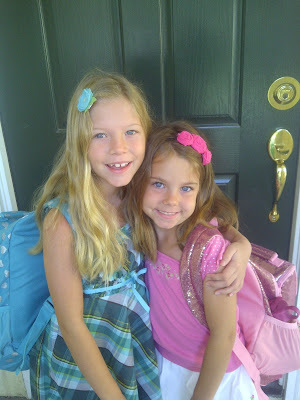 Yesterday was Reagan's first day of third grade. She made a friend in the first five minutes and after school she said, "I have a feeling we're going to be best friends. She's very polite and sweet and she loves God!" Lord give us the strength and wisdom to continue raising them in the way they should go. 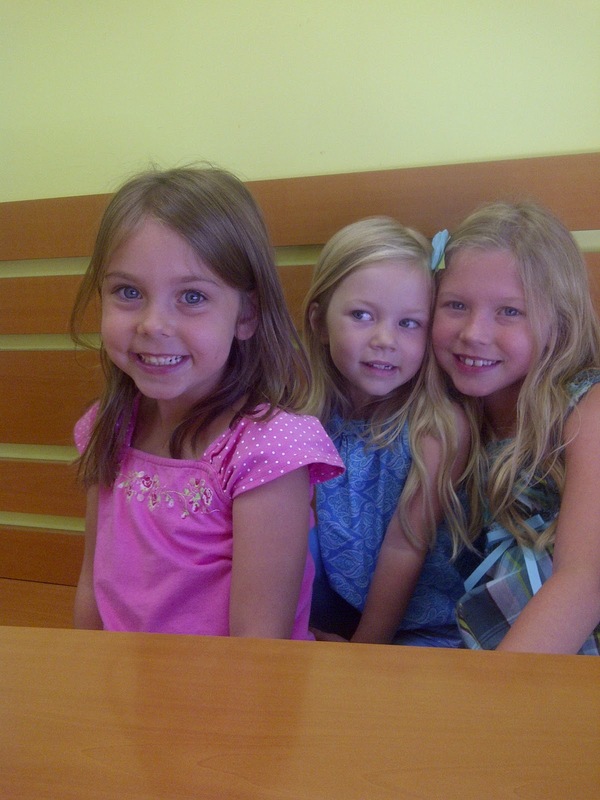 celebrating with frozen yogurt after school! So sweet! How is Bailey doing with the big girls being off at school now? What a blessing to have schools you love and that Reagan made a friend, too!! Amen! So glad their first day went well!